Amazon Web Services, also known as AWS, is a cloud computing platform launched by Amazon.com, Inc. in March 2006. 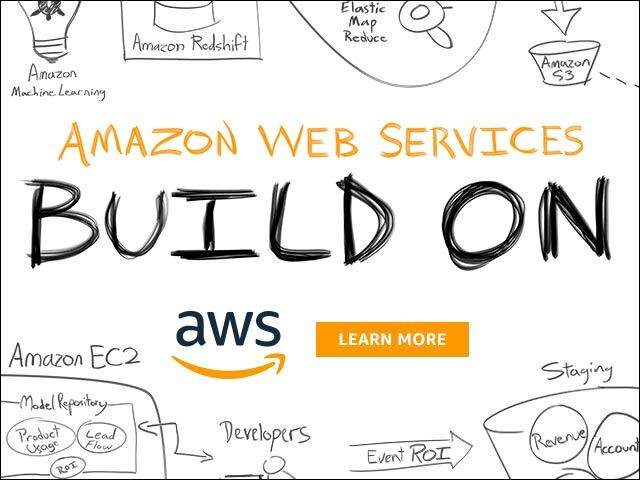 Amazon Web Service offers several cloud-based products including compute power, storage, database, analytics, networking, mobile, developer tools, management tools, IoT, security, Robotics, media services and enterprise applications. Chris Pinkham and his team to develop Elastic Compute Cloud (virtual machines as a service), which was one of the first products to be launched by AWS in 2006. Amazon Web Services is the world’s number one infrastructure as a service provider with 34% market share. 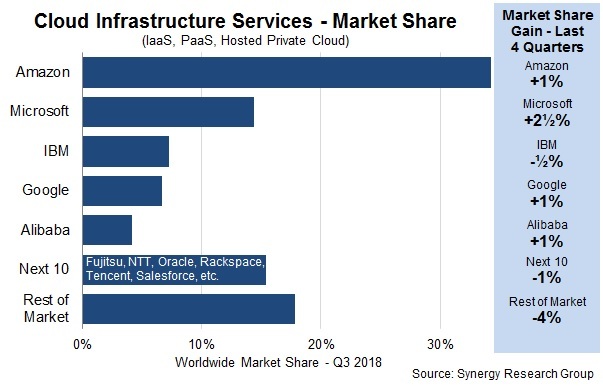 Amazon Web Services holds a dominating position in the global infrastructure market as their market share is more than the combined market share of the next four players, Microsoft, IBM, Google, and Alibaba. Despite being the largest player in the segment, Amazon Web Services increased it market share by 1% between Q3-2017 and Q3-2018. In the last four quarters, between Q3-17 to Q3-18, Amazon Web Services reported revenue of $23.34 billion, which was second only to Microsoft’s cloud revenue during the period. Amazon Web Services provides services from a growing network of data centers spread across the world. 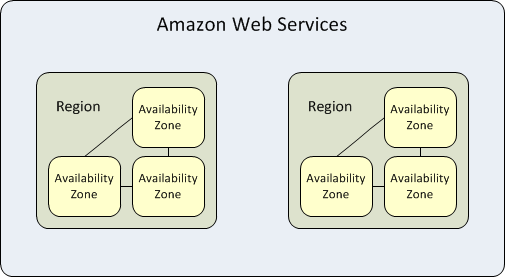 Amazon classifies its infrastructure network as regions and availability zones. 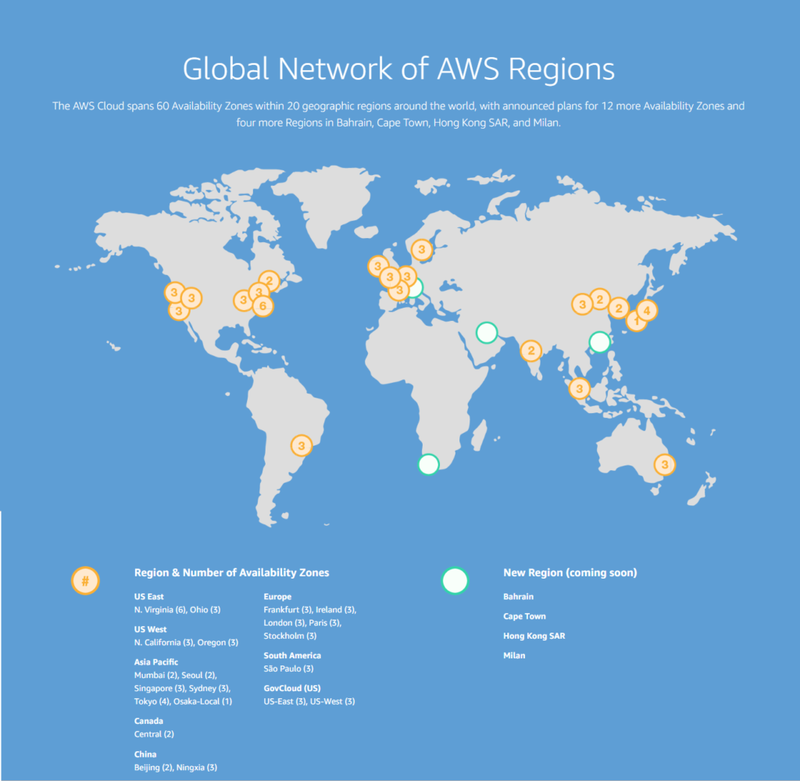 AWS Global Infrastructure has 60 Availability Zones spread within 20 geographic regions. The company has announced plans to add 12 more availability Zones and 4 new AWS Regions in Bahrain, Cape Town, Hong Kong SAR, and Milan. Similar to other Cloud Service Providers like Microsoft, IBM and Google, AWS follows the industry standard of usage-based pricing. 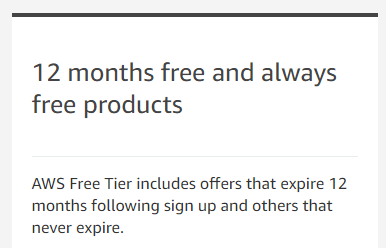 AWS offers steep discounts for customers who reserve their infrastructure over a long term. Though this will require customers to make a large upfront payment, in some cases reseravation reduces price by up to 75%. 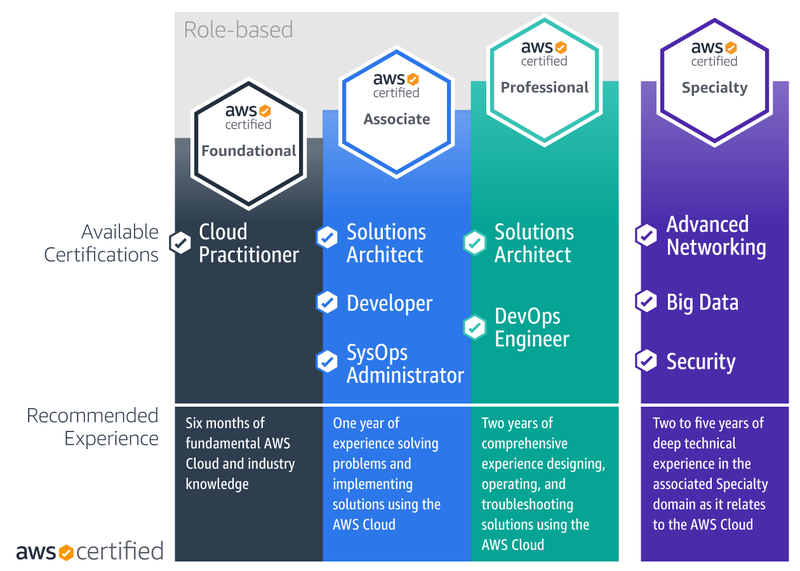 Amazon offers role-based certifications in several areas including Cloud Practitioner, Architect, Developer, and Operations roles, and specialty certifications that will validate advanced skills in specific technical areas. Participants can take online courses or join classroom training taught by accredited AWS instructors. As of January 2019, AWS offers the following exams. Please visit AWS for more details on exams, certifications, and training. Because of the stiff competition at the top, you’ll see identical pricing, price match offers, and similar services offered by the top five cloud providers.